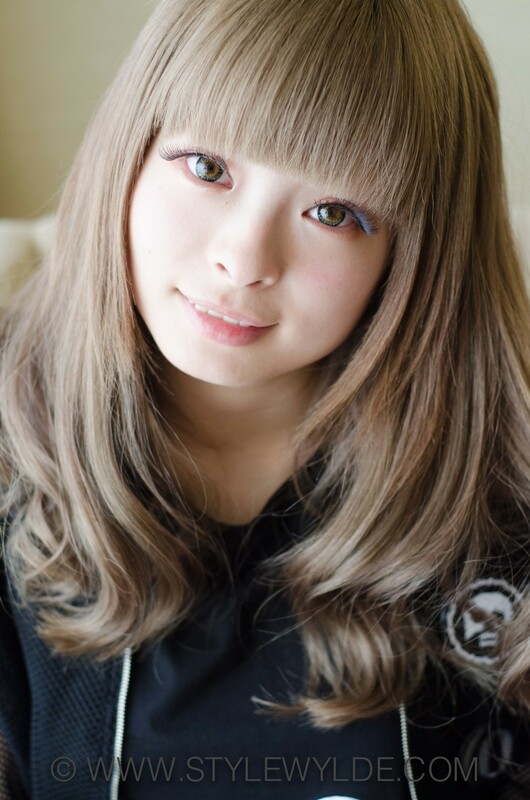 International recording artist Kyary Pamyu Pamyu (born Kiriko Takemura) has spent the last few years on a major career climb. Ascending up the ranks, first in fashion with a successful modeling career, and as a hyper-popular fashion blogger, and then onto music where her hits PonPonPon and Fashion Monster have earned her a massive following throughout Asia, and numerous awards (including an MTV Japan honor for Best Pop Song). 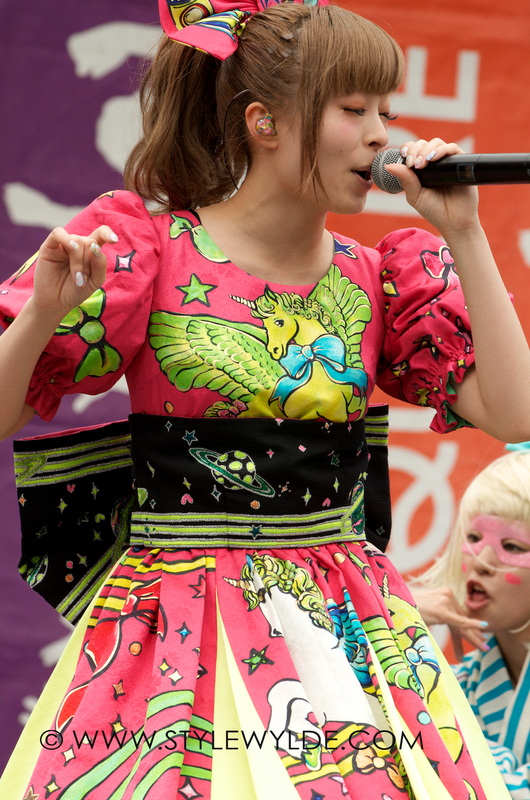 Through all of this, Kyary Pamyu Pamyu's personal style has remained in the forefront of her performance presence. Often touted as everything from "Japan's Lady Gaga" to "The Harajuku Fashion Ambassador" the star has kept her own style as a major aspect to her public persona. In a quiet hotel room just days before her first ever performance in San Francisco, Style Wylde sat down with the star (who was noticeably toned down, and utterly gorgeous without heavy stage make-up) to talk about fashion; her past career, her future plans, and how style will play a major role in all of it. "I wanted to have my own voice in fashion, I wanted to express myself, and what I thought about fashion as more than just a model." "In my third year of High School when I was modeling, a producer approached me. He said I was very funny, and very interesting girl and thought I could have a career in music, so I tried,"
"Back when I was doing blogs, and modeling, it was all about things that I personally was interested in. 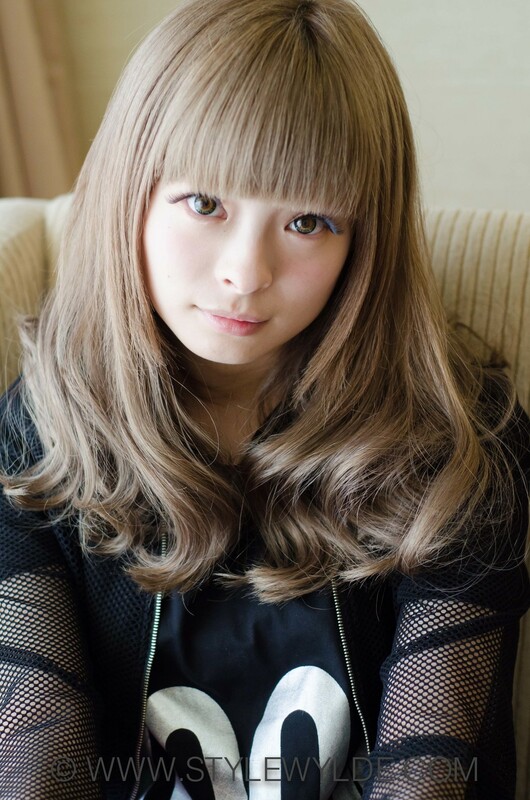 As I transitioned into a musician, it is all about entertaining people, and also about creating the character of Kyary Pamyu Pamyu. So now I am more about how to create a stage presence, and how to create costumes. "I am always constantly evolving my style. Performing is part of that, so right now I am looking for the next thing, the next stage of evolution." "The beginning of my career was based in Harajuku, as a street model and being known for that style, so I have a deep love for it. And now that I've been named the Harajuku ambassador I want to continue working with this style. "Truthfully I was expecting it to be warm and sunny as my idea of the West Coast, so I was surprised by how cold it was! BUT I spent the whole day yesterday on tourism. I saw the seals, ate seafood and played at the arcade near Fisherman's Wharf...I had a really great time." "Well, so far I think I have only seen other tourists, so I don't know the local style! But my producer, Sebastian Masuda [designer of the popular Harajuku Fashion line 6% Doki Doki] has opened a pop-up shop here, and I think it will have a big chance to do well here." In addition to the interview, Style Wylde was granted a small photo shoot with the mega star before her performance in Union Square. Here are just a few of our favorite shots from the shoot and the show. All images: Cynthia Hope Anderson/Simon Whittle for Style Wylde. The interview was conducted via translator Misaki C.Kido. For more information please visit mckido.com.